Six Sundays in Spring is an annual concert series featuring free, live, outdoor entertainment. Scheduled on consecutive Sundays from April 28 through June 2, Six Sundays in Spring offers area residents an opportunity to enjoy a variety of local and regional performers and an enriching cultural experience. All concerts are scheduled from 5-7 p.m. in the E. Carroll Joyner Park Amphitheater, 701 Harris Road. A new amphitheater cover, currently under construction, is scheduled to be completed in time for the April 28 concert. Designed to blend in with current Joyner Park structures and the natural habitat, the shelter will provide full stage coverage offering performers both shade from the sun and protection from the rain. In addition to Buckshot Betty, other acts scheduled to perform during this year’s concert series include Southern Culture on The Skids on May 5; The Magnificent’s Band on May 12; Orquesta GarDel on May 19; Tyson Brothers Band and Mister Felix on May 26; and the Marcus Anderson Band on June 2. 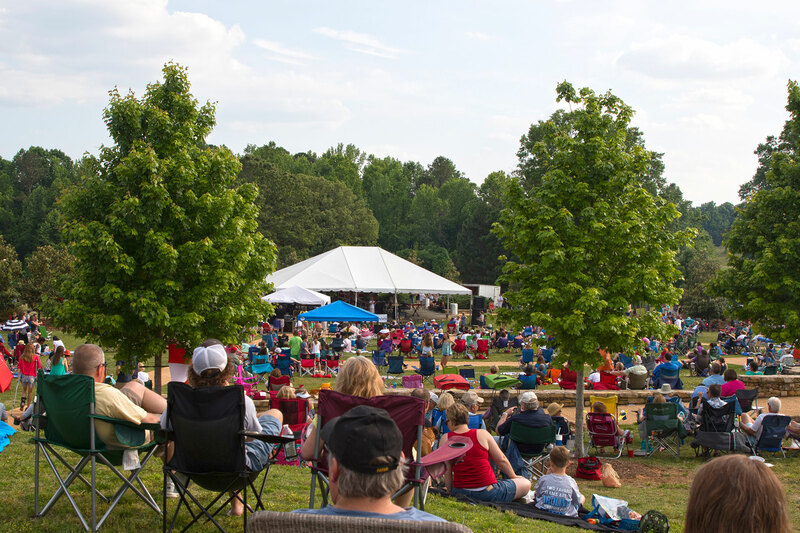 To view the entire 2019 concert schedule, including a description of each band, visit www.wakeforestnc.gov/citizen-engagement/community-calendar/six-sundays-spring/concert-schedule. A variety of food and dessert trucks will be on site for each Six Sundays in Spring concert. Concert goers are also invited to bring a picnic from home but are reminded alcoholic beverages and gas and charcoal grills are not allowed. Two large charcoal grills are provided on site. Unleashed pets are also prohibited. Android and iPhone users can have a handy pocket guide to Six Sundays in Spring in the palm of their hands by downloading the Town of Wake Forest app and utilizing the app’s "Six Sundays in Spring" function. Designed to offer smart phone users instant access to important details about this year's concert series, the function includes the complete 2018 concert schedule, information about Joyner Park, weather information and more. IPhone, iPod Touch, iPad, and Android users can download the free app by searching for “Town of Wake Forest" on iTunes, in the iPhone app store, or in Google Play or by scanning the appropriate QR code provided at www.wakeforestnc.gov/app.aspx. In the event of inclement weather, this year’s concerts may be relocated to the Wake Forest Renaissance Centre, 405 S. Brooks St. Updated concert information will be available by 3 p.m. on the day of the concert on the Town’s Facebook page and by calling the Wake Forest Weather Line at 919-435-9569. Smart phone users who have downloaded the Town’s app will receive a push notification message informing them of any schedule changes.